Nassau County /ˈnæsɔː/ is an affluent suburban county on Long Island, immediately east of New York City in the U.S. state of New York, within the New York Metropolitan Area. As of the 2010 census, the population was 1,339,532. The name of the county comes from an old name for Long Island, which was at one time named Nassau, after the Dutch Prince William of Nassau, Prince of Orange (who later also ruled as King William III of England). The county colors, orange, and blue, are also the colors of the House of Orange. Nassau's county seat is located in the village of Garden City, within the Mineola 11501 zip code. Nassau, together with Suffolk County to its immediate east, are generally referred to as "Long Island" by area residents—as distinct from the New York City boroughs of Queens (Queens County) and Brooklyn (Kings County), which are geographically located on the island's westernmost end. Two cities, three towns, 64 incorporated villages, and more than 60 unincorporated hamlets are located within the county. The U.S. Postal Service has organized Nassau County into 111 different 5-digit ZIP codes served by 67 postal address names. There are 56 public school districts within the county. Post office districts and school districts use the same names as a city, hamlet, or village within them, but each sets the boundaries independently. In 2012, Forbes magazine, in an article based on the U.S. Census Bureau's American Community Survey, reported that Nassau County was the 12th richest county in America and the highest in the State of New York, with a median household annual income of about $91,000. The area now designated Nassau County was originally the eastern 70% of Queens County, one of the original 12 counties formed in 1683, and was then contained within two towns: Hempstead and Oyster Bay. Nassau County was formed in 1899 by the division of Queens County, after the western portion of Queens had become a borough of New York City in 1898. When the first European settlers arrived, among the Native Americans to occupy the present area of Nassau County were the Marsapeque, Matinecoc, and Sacatogue. Dutch settlers in New Netherland predominated in the western portion of Long Island, while English settlers from Connecticut occupied the eastern portion. Until 1664, Long Island was split, roughly at the present border between Nassau and Suffolk counties, between the Dutch in the west and Connecticut claiming the east. The Dutch did grant an English settlement in Hempstead (now in western Nassau), but drove settlers from Oyster Bay (now in eastern Nassau) as part of a boundary dispute. In 1664, all of Long Island became part of the English Province of New York within the Shire of York. Present-day Queens and Nassau were then just part of a larger North Riding. In 1683, Yorkshire was dissolved, Suffolk County and Queens County were established, and the local seat of government was moved west from Hempstead to Jamaica (now in New York City). By 1700, very little of Long Island had not been purchased from the native Indians by the English colonists, and townships controlled whatever land had not already been distributed. The Long Island Rail Road reached as far east as Hicksville in 1837, but did not proceed to Farmingdale until 1841 due to the Panic of 1837. The 1850 census was the first in which the population of the three western towns (Flushing, Jamaica, and Newton) exceeded that of the three eastern towns that are now part of Nassau County. Concerns were raised about the condition of the old courthouse and the inconvenience of travel and accommodations, with the three eastern and three western towns divided on the location for the construction of a new one. Around 1874, the seat of county government was moved to Long Island City from Mineola. As early as 1875, representatives of the three eastern towns began advocating the separation of the three eastern towns from Queens, with some proposals also including the towns of Huntington and Babylon (in Suffolk County). From the early 1900s until the Depression and the early 1930s, many hilly farmlands on the North Shore were transformed into luxurious country estates for wealthy New Yorkers, with the area receiving the nickname "the Gold Coast" and becoming the setting of F. Scott Fitzgerald's 1925 novel The Great Gatsby. One summer resident of the Gold Coast was President Theodore Roosevelt at Sagamore Hill. In 1908, William Kissam Vanderbilt constructed the Long Island Motor Parkway as a toll road through Nassau County. With overpasses and bridges to remove intersections, it was among the first limited access motor highways in the world, and was also used as a racecourse to test the capabilities of the fledgling automobile industry. Nassau County, with its extensive flat land, was the site of many aviation firsts. Military aviators for both World Wars were trained on the Hempstead Plains, and a number of successful aircraft companies were established. Charles Lindberg took off for Paris from Roosevelt Field in 1927, completing the first non-stop trans-Atlantic flight from the United States. Grumman (which in 1986 employed 23,000 people on Long Island) built many planes for World War II, and later contributed the Apollo Lunar Module to the Space program. In 1994, Federal Judge Arthur Spatt declared the Nassau County Board of Supervisors unconstitutional and directed that a 19-member legislature be formed. Republicans won 13 seats in the election and chose Bruce Blakeman as the first Presiding Officer (Speaker). Among the first class were current legislators Peter J. Schmitt, Judith Jacobs, John Ciotti, Dennis Dunne Sr., Francis X. Becker, Vincent T. Muscarella, and current County Executive, Ed Mangano. According to a Forbes magazine 2012 survey, residents of Nassau County have the 12th highest median household annual income in the country and the highest in the state. In the 1990s, however, Nassau County saw huge budget problems, forcing the county to near bankruptcy. Thus, the county government increased taxes to prevent a takeover by the state of New York, leading to the county having high property taxes. Nevertheless, on January 27, 2011, a New York State oversight board seized control of Nassau County’s finances, saying the wealthy and heavily taxed county had failed to balance its $2.6 billion budgets. Belmont Park grandstand in 1999. Nassau County occupies a portion of Long Island immediately east of the New York City borough of Queens. It is divided into two cities and three towns, the latter of which contain 64 villages and numerous hamlets. According to the U.S. Census Bureau, the county has a total area of 453 square miles (1,173 km²) of which 287 square miles (743 km²) of it is land and 166 square miles (431 km²) of it (36.72%) is water. As of the 2010 census, there were 1,339,532 people, 448,528 households, and 340,523 families residing in the county. The population density was 4,655 people per square mile (1,797/km²). There were 468,346 housing units at an average density of 1,598 per square mile (617/km²). The racial makeup of the county was 73.0% White (65.5% non-Hispanic White), 11.1% African American, 0.2% Native American, 7.6% Asian (3.0% Indian, 1.8% Chinese, 1.0% Korean, 0.7% Filipino, 0.1% Japanese, 0.1% Vietnamese, 0.9% Other Asian), 0.03% Pacific Islander, 5.6% from other races, and 2.4% from two or more races. Hispanic or Latino of any race were 14.6% of the population. As of 2011, there were about 230,000 Jewish people in Nassau County, representing 17.2% of the population, (as compared to 2% of the total U.S. population). Italian Americans make up a large portion of Nassau. The top 5 ancestries are 23% Italian, 14% Irish, 7% German, 5% American and 4% Polish. The county's population was highest as of the 1970 Census. The median income for a household in the county in 2000 was $72,030, and the median income for a family was $81,246 (these figures had risen to $87,658 and $101,661 respectively as of a 2007 estimate). Males had a median income of $52,340 versus $37,446 for females. The per capita income for the county was $32,151. About 3.50% of families and 5.20% of the population were below the poverty line, including 5.80% of those under age 18 and 5.60% of those age 65 or over. More recently, a Little India has emerged in Hicksville, while rapidly growing Chinatowns have developed in Brooklyn and Queens and have spread into Nassau County. The Long Island Koreatown (롱 아일랜드 코리아타운) originated in Flushing, Queens before sprawling eastward along Northern Boulevard and eventually into Nassau County. The head of the county's governmental structure is the County Executive, a post created in Nassau County in 1938. The current county executive is Ed Mangano, a Republican who was elected in an upset victory over the prior County Executive Thomas R. Suozzi in 2009. The District Attorney is Democrat Kathleen Rice, who in November 2005 defeated 30-year incumbent Republican Denis Dillon in an upset victory. The county comptroller is George Maragos, a Republican, the county clerk is Republican Maureen O'Connell, and the county assessor is an appointed position who serves at the pleasure of the County Executive. The Comptroller of Nassau County is the chief fiscal officer and chief auditing officer of the County who presides over the Nassau County Comptroller's Office. The comptroller is elected, countywide, to a four-year term and has no term limit. The current comptroller is Republican George Maragos. Maragos was elected on November 3, 2009. Comptroller Maragos serves as the fiscal watchdog for Nassau County, which has a population of 1.3 million and annual budget of $2.6 billion. Comptroller Maragos and his staff monitor Nassau’s budget and financial operations, audit government agencies and agencies with county contracts to uncover waste and abuse, review county contracts and claims, report on matters that significantly affect Nassau’s financial health and operations, work with the Administration and Legislature to help the county overcome its fiscal challenges, prepare Nassau’s Comprehensive Annual Financial Report, and administer the county payroll and employee health benefits functions. The Comptroller's Office includes the Departments of Accounting, Field Audit, Payroll & Benefits, and Claims. The county legislature has 19 members. There are ten Republicans and nine Democrats. County police services are provided by the Nassau County Police Department. The cities of Glen Cove and Long Beach, as well as a number of villages, are not members of the county police district and maintain their own police forces. The following village police departments exist in Nassau County: Centre Island, Floral Park, Freeport, Garden City, Great Neck Estates, Hempstead, Kensington, Kings Point, Lake Success, Lynbrook, Malverne, Muttontown, Old Brookville (Old Brookville P.D. provides police protection for Old Brookville, Brookville, Upper Brookville, Matinecock, Mill Neck and Cove Neck), Old Westbury, Oyster Bay Cove, Rockville Centre and Sands Point. The Port Washington Police Department is not a village department but is authorized by a special district, the only such district in New York State . These smaller forces, however, make use of such specialized county police services as the police academy and the aviation unit. Also, all homicides in the county are investigated by the county police, regardless of whether or not they occur within the police district. On June 1, 2011, the Muttontown Police Department commenced operations. The Old Brookville Police formerly provided police services to the Village of Muttontown. The Nassau County Auxiliary Police are a unit of the Nassau County Police Department. These volunteer police officers are assigned to 1 of 38 local community units and perform routine patrols of the neighborhood and provide traffic control for local parades, races and other community events. Auxiliary Police officers are empowered to make arrests for crimes that occur in their presence. Nassau County Auxiliary Police are required to complete a 37 week training course at the Nassau County Police Academy and qualified officers are also offered Emergency Medical Technician (EMT) training. Auxiliary Police officers are certified by the NYS Division of Criminal Justice Services (DCJS) as "Peace Officers" and are registered as peace officers in the NYS DCJS registry of peace officers. The City of Long Beach has an independent Auxiliary Police force which is part of its municipal police force. These officers are represented by the Auxiliary Police Benevolent Association of Long Island. Like neighboring Suffolk County, Nassau County residents primarily supported the Republican Party in national elections until the 1990s. That decade, it began to shift toward the Democratic Party. Democrat Bill Clinton carried the county in the presidential elections of 1992 and 1996. Later Nassau voters gave a large margin of victory to Al Gore in 2000 (19.4%), but John Kerry's winning margin in 2004 was considerably slimmer (5.6%). In that election, Kerry won the towns of Hempstead and North Hempstead, but lost the Town of Oyster Bay. Democratic strength is chiefly concentrated in the central, certain southern areas, and northern part of the county. This includes the south eastern Village of Freeport which is roughly sixty-eight percent Democrat, central areas near the Village of Hempstead and Uniondale, where there are large middle-class populations as well as the affluent northern half of the county. This includes Great Neck, Glen Cove and Roslyn. There are also staunch Democratic pockets in the equally affluent Five Towns area in the southwest part of the county and in Long Beach. Republican voters are chiefly concentrated in the more suburban areas of the county. The middle class southeastern portion of the county is heavily Republican, and communities such as Massapequa, Seaford, Wantagh, Levittown, Bethpage, and Farmingdale are the political base of Congressman Peter T. King. In the western portion of the county, wealthy Garden City is solidly Republican, as is the more middle-class community of Floral Park. Areas of the county containing large numbers of swing voters are in East Meadow, Mineola, Oceanside and Rockville Centre. Long Island's only Republican member of Congress, Representative Peter T. King, is from Nassau County. His 3rd District includes heavily populated suburban neighborhoods like Long Beach, Massapequa, Levittown, Hicksville, Seaford, Wantagh, and Farmingdale. But Nassau County is also home to the popular gun control advocate, Democrat Carolyn McCarthy, whose 4th District includes Garden City, Carle Place, Hempstead, Uniondale, East Meadow, Valley Stream, Franklin Square, West Hempstead and portions of the Village of Freeport and Rockville Centre. McCarthy defeated Republican congressman Dan Frisa in 1996 and has held the seat since. Nassau County's other two congressmen are both Democrats. Representative Gary Ackerman represents the 5th District, which includes the northwestern part of the county, including Great Neck, Sands Point, and Port Washington, and stretches into northeastern Queens. Steve Israel's 2nd District is mainly in Suffolk County, but also includes parts of Plainview, Old Bethpage, Jericho, Syosset, and Woodbury in Nassau County. All of Nassau County's state senators were Republicans until February 2007 when Nassau County Legislator Craig Johnson was elected to the State Senate in a special election in the 7th district. The Democrats added another seat during the 2008 election, so the Republicans now have a 7–2 advantage in the State Senate on Long Island. The two Democratic seats though were regained by the GOP in the fall of 2010. Long Island's nine state senators became Republican again at the start of the 2011–2012 legislative term in January 2011. With Craig Johnson's loss to Jack Martins, the Senate also once has a GOP majority. Nassau County is home to the New York Islanders of the National Hockey League, who play at the Nassau Veterans Memorial Coliseum in Uniondale. However, it has been announced that for the 2015 season, the Islanders will be moving to Brooklyn and will play at the Barclays Center. It is also the home of F.C. New York of the United Soccer Leagues which folded after their inaugural season, and the Long Island Lizards of Major League Lacrosse. Long Island also has its own professional baseball team, Long Island Ducks. ^ Toy, Vivian S. (March 30, 2003). "For Sale: Nassau's County Seat". The New York Times. http://www.nytimes.com/2003/03/30/nyregion/for-sale-nassau-s-county-seat.html?pagewanted=all?pagewanted=all. "The county's properties all have mailing addresses in Mineola, the official county seat, but are actually within Garden City's boundaries." ^ "Nassau County ZIP codes". http://www.lieconomy.com/li/li/nassau/zipcodes.htm. Two of these (Floral Park and New Hyde Park) are shared with locations in Queens, and one (Farmingdale) with locations in Suffolk. ^ "Post Offices in Nassau County". http://nassaucountybusinessdirectory.com/page.php?id=nassau-county-post-offices. ^ "Public School Districts in Nassau County, NY". http://www.newyorkschools.com/counties/nassau.html. Retrieved 2012-11-11. ^ The number of districts and communities do not coincide, and the boundaries are set independently. Thus, the boundaries cannot be the same, and residences often have postal addresses that differ from the name of the hamlet and/or school district in which they are located. ^ a b "America's Most Affluent Neighborhoods". Forbes.com. February 13, 2012. http://www.forbes.com/sites/tomvanriper/2012/02/13/americas-most-affluent-neighborhoods/. Retrieved 2012-10-25. ^ "About Nassau County". https://nassaulandtrust.org/about-nassau-county. Retrieved 2012-11-11. ^ "Last will and testament of Thomas Powell Sen late of Bethpage now of Westbury in the limits of Hempstead in Queens County on Nassau Island in the Colony of New York". 1719/20. http://www.nextech.de/genealogy/purchase/e31.htm. Retrieved 2012-11-11. ^ a b "Long Island". New York Times. April 12, 1875. http://query.nytimes.com/mem/archive-free/pdf?res=9E05EFD71439E43BBC4A52DFB266838E669FDE. Retrieved 2012-11-11. ^ a b "Long Island". New York Times. April 9, 1876. http://query.nytimes.com/mem/archive-free/pdf?res=9F00E3D7143AE63BBC4153DFB266838D669FDE. Retrieved 2012-11-11. ^ a b "Proposed Division of Queens County". New York Times. December 21, 1876. http://query.nytimes.com/mem/archive-free/pdf?res=9B01E2DE163EE73BBC4951DFB467838D669FDE. Retrieved 2012-11-11. ^ "Early Five Borough's History". http://www.hopefarm.com/5boros.htm. Retrieved 2007-12-30. "When Queens County was created the courts were transferred from Hempstead to Jamaica Village and a County Court was erected. When the building became too small for its purposes and the stone meeting house had been erected, the courts were held for some years in that edifice. Later a new courthouse was erected and used until the seat of justice was removed to North Hempstead." ^ "Old Bethpage Village Restoration". http://www.nassaucountyny.gov/agencies/parks/wheretogo/museums/central_nass_museum/old_bethpage_rest.html. Retrieved 2012-04-22. ^ "Historical Essay: A Thumbnail View". Official History Page of the Queens Borough President's Office. http://www.queensbp.org/content_web/tourism/tourism_history.shtml. Retrieved 2007-12-29. "From the final withdrawal of the British in November, 1783, until the 1830s, Queens continued as an essentially Long Island area of farms and villages. The location of the county government in Mineola (in present-day Nassau County) underscores the island orientation of that era. Population grew hardly at all, increasing only from 5,791 in 1800 to 7,806 in 1830, suggesting that many younger sons moved away, seeking fortunes where land was not yet so fully taken up for farming." Jon A. Peterson and Vincent Seyfried, ed. (1983). A Research Guide to the History of the Borough of Queens and Its Neighborhood. Peterson, Jon A., ed. (1987). A Research Guide to the History of the Borough of Queens, New York City. New York: Queens College, City University of New York. ^ "New York – Queens County – History". http://www.timevoyagers.com/bookstore/NewYork/counties/queens.htm. Retrieved 2007-12-29. "History of New York State 1523–1927". The Historical Society of the Courts of the State of New York. http://www.courts.state.ny.us/history/elecbook/sullivan/pg1.htm. Sullivan, Dr. James (1927). History of New York State 1523–1927. New York, Chicago: Lewis Historical Publishing Company, Inc.
^ "New York State History". Genealogy Inc. 1999. http://www.mynewyorkgenealogy.com/ny_history.htm. Retrieved 2007-12-28. "Under the Reorganization Act of March 7, 1788, New York was divided into 120 towns (not townships), many of which were already in existence." ^ "History Mysteries: Shelter Island Ferry/Mineola Building". http://www.newsday.com/community/guide/lihistory/ny-history_mysteries_hs221a,0,670882.story. Retrieved 2008-04-01. "The building shown below "is one of the most important buildings in the history of Mineola," wrote Jack Hehman, president of the Mineola Historical Society. Built in 1787 and known as the "old brig," it was the first Queens County courthouse and later a home for the mentally ill. The building was at Jericho Turnpike and Herricks Road until 1910, when it burned to the ground." ^ "The Mineola Asylum; Witnesses who testified that it is and has been a model institution.". New York Times. August 29, 1882. http://query.nytimes.com/gst/abstract.html?res=9D01E7D61430E433A2575AC2A96E9C94639FD7CF. Retrieved 2008-04-01. "The investigation of the charges made against the Superintendent and keepers of the Mineola Asylum for the Insane, which was begun last Tuesday, was continued yesterday by the standing Committee on Insane Asylums of the Queens County Board of Supervisors-- Messrs. Whitney, Brinckerhoff, and Powell. The committee were shown through the asylum, which is the old building of the Queens County Court-house over 100 years old"
^ David Roberts. "Nassau County Post Offices 1794–1879". 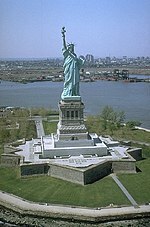 http://www.bklyn-genealogy-info.com/Civil/Nassau.P.O.html. Retrieved 2008-04-01. John L. Kay & Chester M. Smith, Jr. (1982). New York Postal History: The Post Offices & First Postmasters from 1775 to 1980. American Philatelic Society. "There was only one post office established in present Nassau County when the Long Island post road to Sag Harbor was established September 25, 1794. It appears that the mail from New York went to Jamaica. This was the only post office in the present day Boroughs of Queens or Brooklyn before 1803. From Jamaica the mail went east along the Jericho Turnpike/Middle Country Road route and ended at Sag Harbor. The only post office on this route between Jamaica and Suffolk County was QUEENS established the same date as the others on this route 9/25/1794. This post office was officially Queens, but I have seen the area called "Queens Court House" and was located approximately in the Mineola-Westbury area. The courthouse was used until the 1870's when the county court was moved to Long Island City. Later it served as the Queens County Insane Asylum and still later as an early courthouse for the new Nassau County, during construction of the present "old" Nassau County Courthouse in Mineola. It was demolished shortly after 1900 ... after about 120 years of service of one type or the other." ^ "The Queens County Court-House Question A New Building to be Erected at Mineola.". The New York Times. February 25, 1872. http://query.nytimes.com/gst/abstract.html?res=9E05E1D8113EEE34BC4D51DFB4668389669FDE. Retrieved 2008-04-01. "For forty years the Supervisors of Queens County have been quarreling over a site for a Court-house. The incommodious building used"
^ a b Rhoda Amon (Staff Writer). "Mineola: First Farmers, Then Lawyers". Newsday. Archived from the original on 2008-10-15. http://web.archive.org/web/20081015160228/http://www.newsday.com/community/guide/lihistory/ny-historytown-hist002d,0,6131005.story?coll=ny_community_guide_lihistory_promo. Retrieved 2012-11-11. "That was the year when the "Old Brig" courthouse was vacated after 90 years of housing lawbreakers. The county court moved from Mineola to Long Island City." ^ "1873 map of North Hempstead". http://www.bklyn-genealogy-info.com/Map/No.Hemp.html. Retrieved 2007-12-31. "bottom right by spur road off Jericho Tpk – location is now known as Garden City Park. Clowesville was the name of the nearest station on the LIRR, approximately at the location of the present Merillon Avenue station. The courthouse (photo at Newsday.com ) was north of the station." ^ Weidman, Bette S.; Martin, Linda B. (1981). Nassau County, Long Island, in early photographs, 1869–1940. Courier Dover. p. 55. http://books.google.com/books?id=1i9AnIpmtbAC&pg=PA55&lpg=PA55&dq=nassau+county+seat+mineola&source=bl&ots=MmVILVa6bZ&sig=mUMbcR7diiuHAscXQ9LRjmJZnYc&hl=en&ei=kAL4TOyRF47WtQOP8OieAg&sa=X&oi=book_result&ct=result&resnum=5&ved=0CDIQ6AEwBDgo#v=onepage&q=nassau%20county%20seat%20mineola&f=false. Retrieved 2010-12-02. ^ "Queen's County Court House". New York Times. February 14, 1870. http://query.nytimes.com/mem/archive-free/pdf?res=9B02E5DA133BE63BBC4C52DFB466838B669FDE. Retrieved 2012-11-11. ^ "Long Island". New York Times. December 5, 1870. http://query.nytimes.com/mem/archive-free/pdf?res=9F06E1DF133BE53ABC4D53DFB467838B669FDE. Retrieved 2012-11-11. ^ "The Queens County Court-House Question". New York Times. February 25, 1872. http://query.nytimes.com/mem/archive-free/pdf?res=9E05E1D8113EEE34BC4D51DFB4668389669FDE. Retrieved 2012-11-11. ^ "A Queens Timeline". The Queens Tribune. http://www.queenstribune.com/guides/2005_PatchworkOfCultures/pages/QueensTimeline.htm. Retrieved 2007-12-23. "1874 – Queens County Courthouse and seat of county government moved from Mineola (in present-day Nassau County) to Long Island City." ^ Geoffrey Mohan (Staff Writer) (2007). "Nassau's Difficult Birth; Eastern factions of Queens win the fight to separate after six decades of wrangling". Newsday. Archived from the original on 2008-10-16. http://web.archive.org/web/20081016012933/http://www.newsday.com/community/guide/lihistory/ny-history-hs615a,0,7026626.story?page=4. Retrieved 2012-11-11. "North Hempstead, Oyster Bay and the rest of Hempstead were excluded from the vote." ^ "The New Queens County Court-House". New York Times. February 9, 1874. http://query.nytimes.com/mem/archive-free/pdf?res=9D07E2D9173BEF34BC4153DFB466838F669FDE. Retrieved 2012-11-11. ^ "Mineola Chosen Nassau County's Seat". New York Times. November 10, 1898. http://query.nytimes.com/gst/abstract.html?res=9506EEDA1F3DE433A25753C1A9679D94699ED7CF. Retrieved 2010-06-06. ^ "County of Nassau Elections". New York Times. September 1, 1898. http://query.nytimes.com/gst/abstract.html?res=9A02EEDE1438E433A25752C0A96F9C94699ED7CF&scp=3&sq=mineola+%22county+seat%22&st=p. Retrieved 2010-06-06. ^ "Incorporated Village of Garden City: History". Incorporated Village of Garden City. http://www.gardencityny.net/history1.htm. Retrieved 2010-06-06. ^ "Sites for Nassau County Buildings". New York Times. September 29, 1898. http://query.nytimes.com/gst/abstract.html?res=9F00EEDB1F3DE433A2575AC2A96F9C94699ED7CF&scp=1&sq=nassau+%22county+seat%22+garden+city&st=p. Retrieved 2010-06-06. ^ "The History of Nassau's County Seat". rootsweb. http://www.rootsweb.ancestry.com/~nynassa2/populationsurvey2.htm. Retrieved 2010-06-06. ^ Fischler, Marcelle S (November 15, 1998). "An Immigrant's Vision Created Garden City". The New York Times. http://www.nytimes.com/1998/11/15/nyregion/an-immigrant-s-vision-created-garden-city.html?pagewanted=all. Retrieved 2010-06-06. ^ Antonia Petrash, Carol Stern, and Carol McCrossen. "HISTORY OF GLEN COVE". http://www.nassaulibrary.org/glencove/History%20of%20Glen%20Cove.html. ^ a b Stoff, Joshua. "The Aviation History of Long Island". Cradle of Aviation Museum. http://www.cradleofaviation.org/history/index.html. Retrieved 2012-11-17. ^ "Long Islanders Shocked by Grumman's Merger". The New York Times. March 8, 1994. http://query.nytimes.com/gst/fullpage.html?res=9A06E7D91F3AF93BA35750C0A962958260. Retrieved 2012-11-17. ^ McQuiston, John T. "Judge Says He Will Create a Nassau Legislature on His Own if Supervisors Fail to Act", The New York Times, June 9, 1994. Retrieved 2007-12-11. ^ "New York State Takes Control of Nassau’s Finances". The New York Times. January 27, 2011. http://www.nytimes.com/2011/01/27/nyregion/27nassau.html?hp. Retrieved 2011-01-27. ^ a b "New York: 2000 Population and Housing Unit Counts". September 2003. p. III-9. http://www.census.gov/prod/cen2000/phc-3-34.pdf. Retrieved 2012-03-12. ^ "united states annual sunshine map". HowStuffWorks, Inc. http://maps.howstuffworks.com/united-states-annual-sunshine-map.htm. Retrieved 2011-12-18. ^ "Nassau County, New York QuickFacts". U.S. Census Bureau. http://quickfacts.census.gov/qfd/states/36/36059.html. Retrieved 2012-08-20. ^ a b c "2010 Census Profile for Nassau County". http://factfinder2.census.gov/bkmk/table/1.0/en/DEC/10_DP/DPDP1/0500000US36059. ^ "NY Jewish Population on the Rise for First Time in Decades". http://www.jspace.com/news/articles/ny-jewish-population-on-the-rise-for-first-time-in-decades/9470. ^ Lambert, Bruce (June 5, 2002). "Study Calls L.I. Most Segregated Suburb". The New York Times. http://www.nytimes.com/2002/06/05/nyregion/study-calls-li-most-segregated-suburb.html?pagewanted=1. Retrieved 2010-05-11. ^ Lawrence A. McGlinn, Department of Geography SUNY-New Paltz (2002). "BEYOND CHINATOWN: DUAL IMMIGRATION AND THE CHINESE POPULATION OF METROPOLITAN NEW YORK CITY, 2000". Journal of the Middle States Division of the Association of American Geographers 35: 110–119. Retrieved on 2012-11-10. ^ Asian Americans: Contemporary Trends and Issues Second Edition, Edited by Pyong Gap Min. Pine Forge Press - An Imprint of Sage Publications, Inc. 2006. ISBN 9781412905565. http://books.google.com/?id=5PSYZMs8TzEC&pg=PA237&lpg=PA237&dq=fort+lee+koreatown+pyong+min#v=onepage&q&f=false. Retrieved 2013-01-06. ^ a b John Roleke. "Flushing: Queens Neighborhood Profile". ©2013 About.com. All rights reserved. http://queens.about.com/od/neighborhoods/p/flushing.htm. Retrieved 2013-01-06. ^ "Koreatown Manhattan, or Koreatown Flushing?". © CBS Interactive Inc. All rights reserved. June 2009. http://chowhound.chow.com/topics/628585. Retrieved 2013-01-06. ^ Joyce Cohen (2003-03-23). "If You're Thinking of Living In/Murray Hill, Queens; The Name's the Same, the Pace is Slower". The New York Times. http://www.nytimes.com/2003/03/23/realestate/if-you-re-thinking-living-murray-hill-queens-name-s-same-pace-slower.html?pagewanted=all&src=pm. Retrieved 2013-01-06. ^ a b "2010 Census brief". http://www.census.gov/prod/cen2010/briefs/c2010br-02.pdf. ^ "The Association of Religion Data Archives (ARDA), Year 2000 Report". http://www.thearda.com/mapsReports/reports/selectCounty.asp?state=36&county=25001. Churches were asked for their membership numbers. ARDA estimates that most of the churches not reporting were black Protestant congregations. ^ "The Association of Religion Data Archives (ARDA), Year 2000 Report". http://www.thearda.com/mapsReports/reports/US_2000.asp. This page uses content from the English language Wikipedia. The original content was at Nassau County, New York. The list of authors can be seen in the page history. As with this Familypedia wiki, the content of Wikipedia is available under the Creative Commons License.